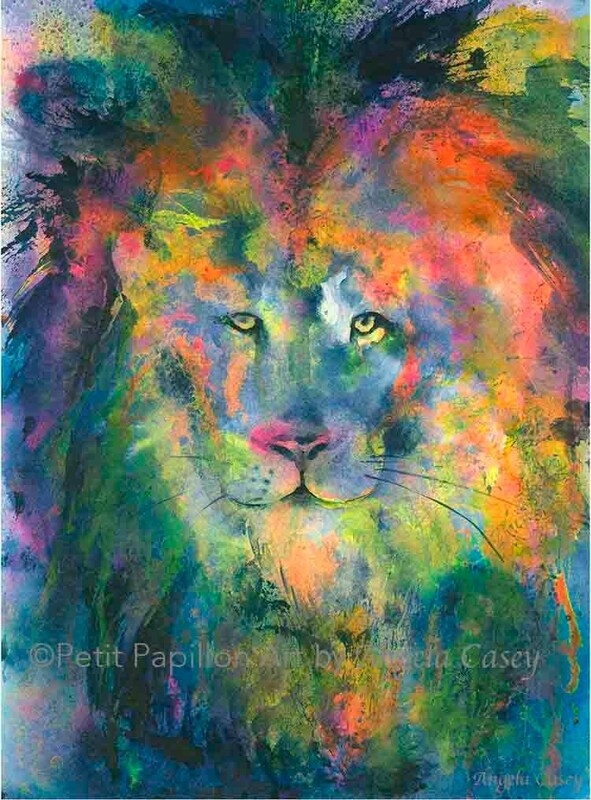 "Sun King" is an archival (giclee) print created from my original acrylic ink & watercolor painting. The lion has long been considered a solar animal symbol. Consider the astrological symbol of Leo, the Lion, whose ruling 'planet' is the almighty, life giving Sun. But Lions are nocturnal creatures. The symbolic message here is one of balance. Yes, the Lion symbolizes Authority, Power & Courage. But the overall message the Lion brings is to not overdue in any area of one's life. Thus, Sun King's message is to confidently walk one's path using sound judgement & Wisdom to achieve an overall balance on Life's Journey. All other sizes come unmatted and unframed with a white border. ✏️ Print will come to you hand signed on the front & signed/dated on the back. What distinguishes a GICLEE print from other prints? The term "giclee print" connotes an elevation in printmaking technology. Images are generated from high resolution digital scans and printed with archival quality inks onto various substrates. 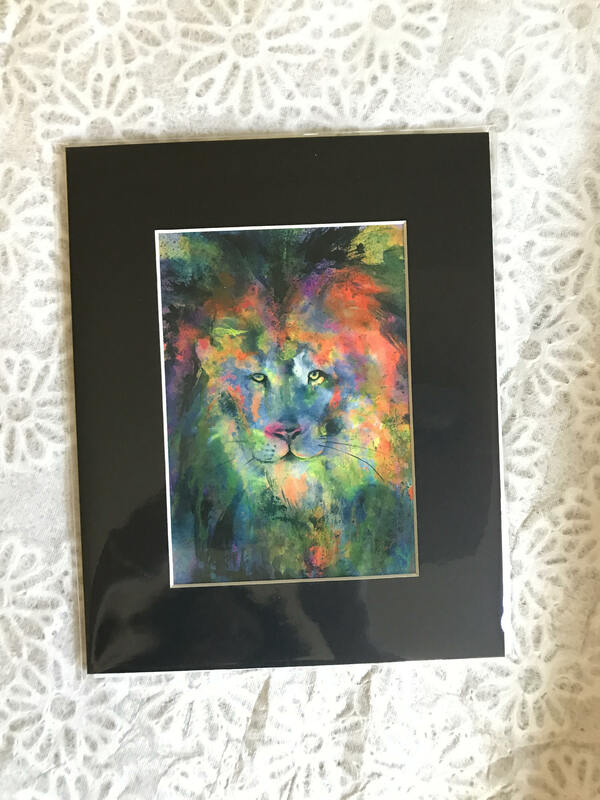 All of my giclees are printed on sturdy 100% cotton, acid free, archival watercolor paper. The giclee printing process provides better color accuracy than other means of reproduction. 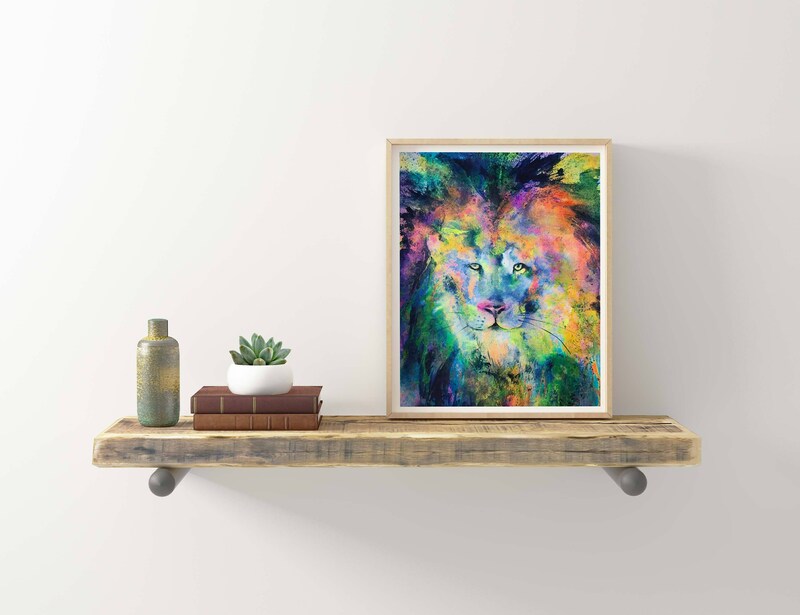 The quality of the giclee print rivals traditional silver-halide and gelatin printing processes and is commonly found in museums, art galleries, and photographic galleries. Many of my customers comment on how they can’t tell the difference between the giclee & an original! ✳️🖥Please note that the colors on the at may vary slightly on a monitor display. 📬Shipped FLAT protected within an acetate sleeve and backing board with 'do not bend' stamp to ensure it reaches you in perfect condition.